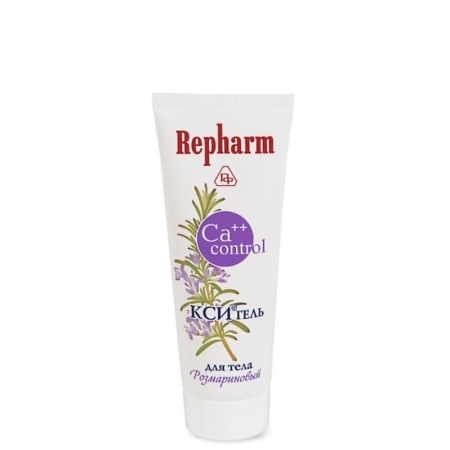 Mild rosemary emulsion of KSIGEL CA-CONTROL is prepared with rosemary leaves extract and essence oil, which contains alkaloids, terpenes, organic acids and phytoncides providing an antioxidant, anti-inflammatory and anesthetic effect. Pine nut oil, glycine, lecithin, betaine nourish and moisturize the skin. Chondroitin, glucosamine and collagen strengthen connecting tissue, heal and lift the skin. Bisphosphonic Complex prevents calcium microcrystals from developing in the derma, which is the main cause of unpleasant feelings and early senescence. KSIGEL is designed for the massage to prevent the calcium cycling disorders and motion discomfort. It induces the motion activity restoring and BMI loss. Aqua (Water); PEG 40 Hydrogenated Castor Oil; Polyglycol-400; Glycerin; Sodium Potassium Bisphosphate; Carbomer; Rosmarinus Officinalis (Rosemary) Leaf Extract; Triethanolamine; Pinus sibirica seed oil; Xanthan Gum; Hydroxyethylated Llanolin; Cetearol; Rosmarinus Officinalis (ROSEMARY) Oil; Glucosamine HCL; Sodium Chondroitin Sulfate; Hydrolysed Collagen; Glycine; Lecithin; Betaine; Cyclomethicone; Tocopheryl Acetate; Sodium Citrate; Succinic Acid; Menthol; Methylchloroisothiazolinone; Parfum; Е124; Е133. KSIGEL is similar to KSICREAM in its effect but the skin absorbs the gel faster. KSIGEL unlike KSICREAM may be used for the preventing purposes. Due to the rosemary leaves extract and Bisphosphonic Complex presence, KSIGEL facilitates stretching and physical exercise performance, reduces muscle soreness after workout and may be used as the complex sport injury treatment. 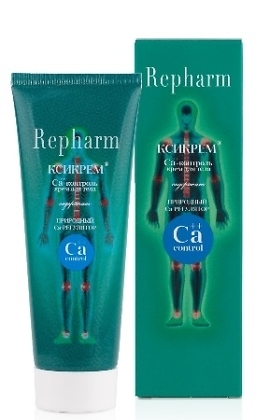 Due to the Chondroitin Sulfate presence whos effect is boosted by Bisphosphonic Complex, KSIGEL stimulates issues regenerating, increases the water retention and restores the dumping power in cartilaginous tissues, increases joint mobility and reduces pain.